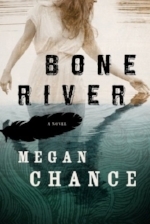 Megan Chance is the critically acclaimed, award-winning author of several novels. Her books have been chosen for the Borders Original Voices program and IndieBound’s Booksense. A former television news photographer with a BA from Western Washington University, Megan Chance lives in the Pacific Northwest with her husband and two daughters.